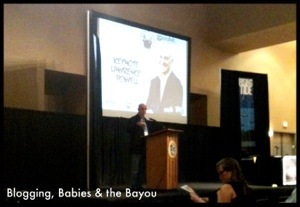 This weekend I had the privilege to attend Rising Tide 7 at Xavier University in New Orleans, La.Rising Tide is a conference that brings bloggers, new media, authors and other parties interested in assisting in the recovery of New Orleans together. Rising Tide has been informative to those by bringing hot topics to the table like recovery, education, politics, culture and of course activism for all issues important to them. 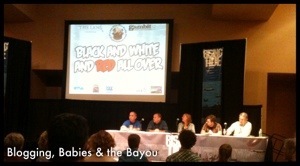 Already in it’s 7th year, rising Tide had some great panels that I enjoyed. From interesting panel discussion like The Education Experiment – Petri Dish Reform in New Orleans and Louisiana to Panel Discussion: Black and White and Red All Over, there was something for everyone. Black and White and Red all Over was by far the most interesting. This panel discussion pertained to the recent closure of the 175 year old Times-Picayune Newspaper and the newly acquired (and digitally focused) Nola.com (i.e Nola Media Group. While I may unveil my opinions another time, I can tell you this was an extremely heated discussion. One of my favorite parts of attending blogger conferences is the community. Blogging is something that one does for the enjoyment and personal satisfaction but in addition to blogging, we are also blog readers. 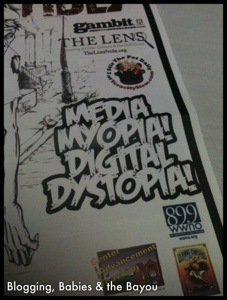 There are so many blogs locally that I have been following on the net and through social media outlets such as twitter. I was able to meet up with my twitter blogger pals and meet new and interesting people. If you think bloggers can be unique characters, wait until you meet a true Nola Blogger character. 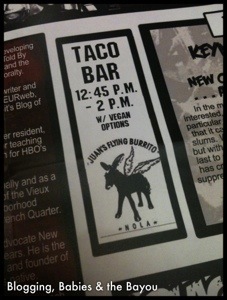 Another Reason to Attend: Juan’s Flying Burrito!! 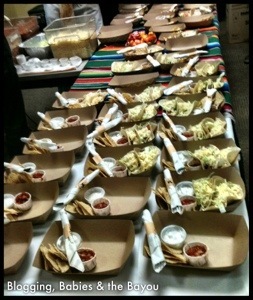 The Taco Station was extremely popular and rightfully so!! I can see why they are called Juans’s Flying Burritos, the tacos were so good that they were flying into a hungry blogger’s mouth! Rising Tide is a gathering for all who wish to learn more and do more to assist New Orleans’ recovery from the aftermath of Hurricanes Katrina and Rita and the failure of the levees that were supposed to protect the area. We come together to dispel myths, promote facts, share personal testimonies, highlight progress and regress, discuss recovery ideas, and promote sound policies at all levels. We aim to be a “real life” demonstration of internet activism as we continue to recover from a massive failure of government on all levels. About & Mission Information can be found on their Facebook Page. You can also find Rising Tide on Twitter and if your extremely interested, you can watch the live stream of some of the events that took place. Those tacos look so good!! 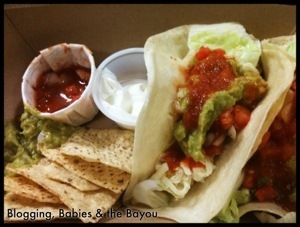 That taco station is the bomb! That sounds amazing! There is nothing better then being a blogger who is able to help their community. 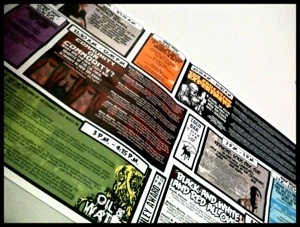 I think the topics at Rising Tide, for the most part, are of interest to all New Orleanians. But their audience lacks diversity. In my opinion, Rising Tide should attempt to include more people of color at their event. A true discussion of the future of New Orleans would require the inclusion and participation of communities of color. 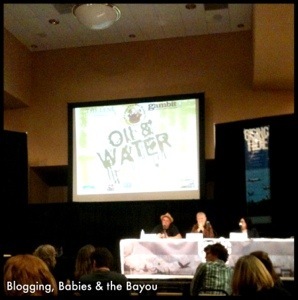 I think the topics at Rising Tide are, for the most part, of interest to all New Orleanians. But their audience lacks diversity. 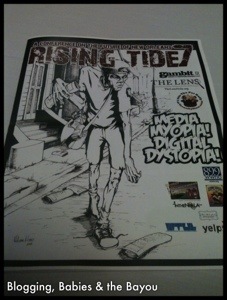 In my opinion, Rising Tide should reach out to communities of color for their participation at their events. Simply stated, a true discussion on the future of New Orleans would necessitate the inclusion of communities of color, the LGBT community, etc.Thanks. 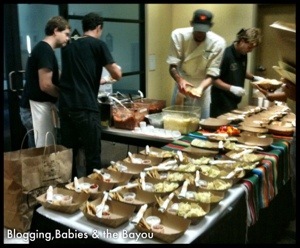 OMG I am so jealous – that taco bar looks amazing! That looks like you had fun, I love going places just for the food alone!